The bowler hat, braille, boycott, the Ferris wheel – there is an exclusive club for people who have given their names to items and terms that achieve world fame (and, no, it was not Geoffrey). 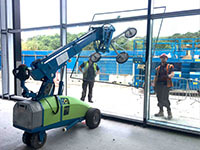 Hird joined that club when its founder Peter Hird Snr devised a simple but highly-effective way to test the operational performance of batteries on DC electric articulating booms and scissor lifts. He invented the test in 1988. Within a few years, it was known around the world as the Hird Test. 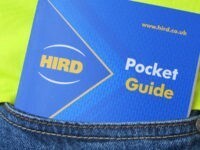 Nearly 40 years on, his son, Phil Hird, now Managing Director of Hird, is still receiving enquiries about the Hird Test. He said: “The Hird Test was taken up enthusiastically by manufacturers, especially when electric-powered machines were in their infancy, so they needed a simple way to measure and benchmark the performance of their equipment, and the Hird Test did that for them. The Hird Test was invented after Peter Hird & Sons Ltd, as Hird was then called, purchased four new Simon Boxer 120 articulating booms. One of the first jobs the machine was used for was to replace wall lights at an education establishment in Hull, where Peter Hird & Sons was, and still is, based. 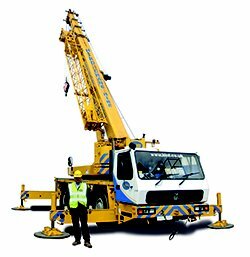 However, it was found that the mobile elevating working platform’s (MEWP) battery discharged after just three hours, which did not impress the customer greatly. Peter Hird Snr felt the same way. 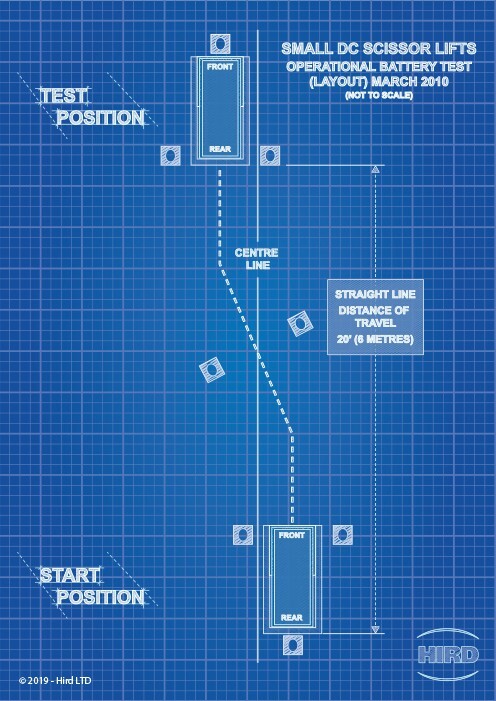 So, he measured the distances between the light units, their height, and the angle the boom had to slew through to reach them and used these to create a practical operational test to measure battery performance in controlled conditions. Marking out a test area at Peter Hird & Sons HQ, Peter Hird Snr put the Simon Boxer 120 through the range of movements required. He found that a fully charged machine could manage between 7 and 8 circuits before the battery ran down. Simon, the manufacturer, was just as interested as Peter Hird Snr to see the data. The company set about modifying its machines so that, by the end of 1991, the Hird Test demonstrated that the Boxer 120 could achieve 22 to 24 circuits, a marked improvement. The measurements taken at that educational establishment formed the basis of the standard battery endurance test that Peter Hird Snr then started to apply to all other models of articulating booms the business operated or were considering buying to strengthen the hire fleet. 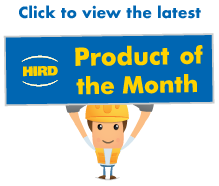 Phil Hird said: “Soon, we had a lot of other manufacturers knocking on our door, asking for details of the Hird Test, and we were glad to share them. It’s been a good way to get the Hird name out into the market place. “You could imagine senior executives seeing the Hird Test as a key part of the new product testing programme, putting their MEWPs up against competitor machines. “Our test has probably caused smiles and scowls around more than a few board room tables in equal measure. “It’s good, though, that we’ve played a part in driving forward innovation and MEWP performance. 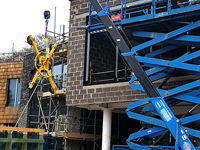 The Hird Test will have been a key element of the testing process during both MEWP design and post-production quality checks. After the success of the Hird Test for articulating booms, Peter Hird Snr devised another test for scissor lifts. Just as with articulating booms, this test was quickly taken up to simply and consistently measure and compare MEWP battery performance. 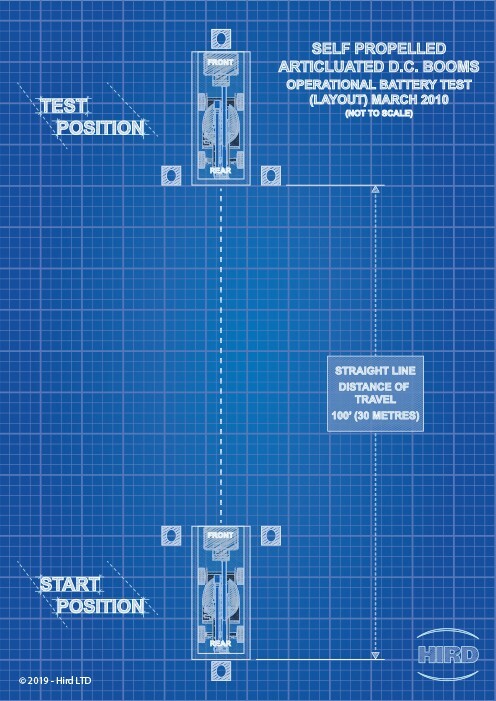 The Hird Test is still relevant today, said Phil Hird, but as more electric MEWPs with lithium-ion batteries come on to the market, the process of carry out such tests is going to be a little more daunting. He added: “I would reckon that a Hird Test on a modern lithium-ion battery articulating boom could generate circuit figures well into the 100s. Technology has come on in leaps and bounds.